The Corian desk is a small, compact and ingenius desk, in solid wood and white corian tabletop. 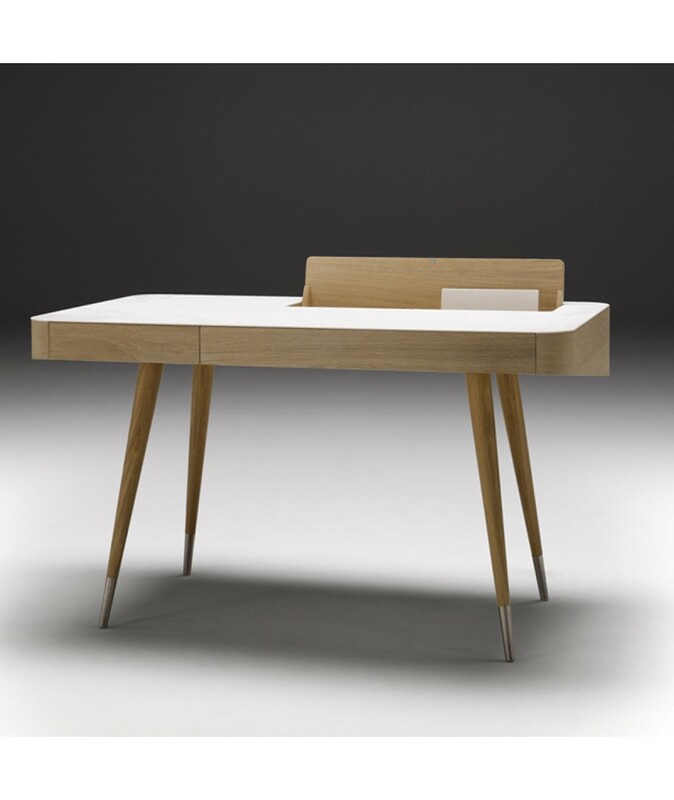 The small and compact Corian desk posseses a scandinavian design with a retro touch. 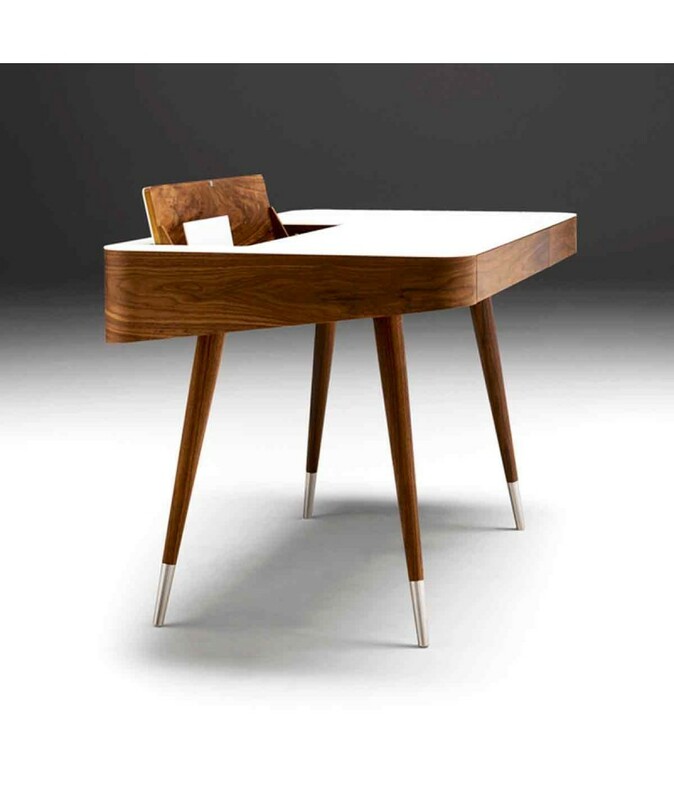 It is nonetheless sober and elegant, thanks to its white Corian tabletop, its rounded lines ands the chromed leg tips. 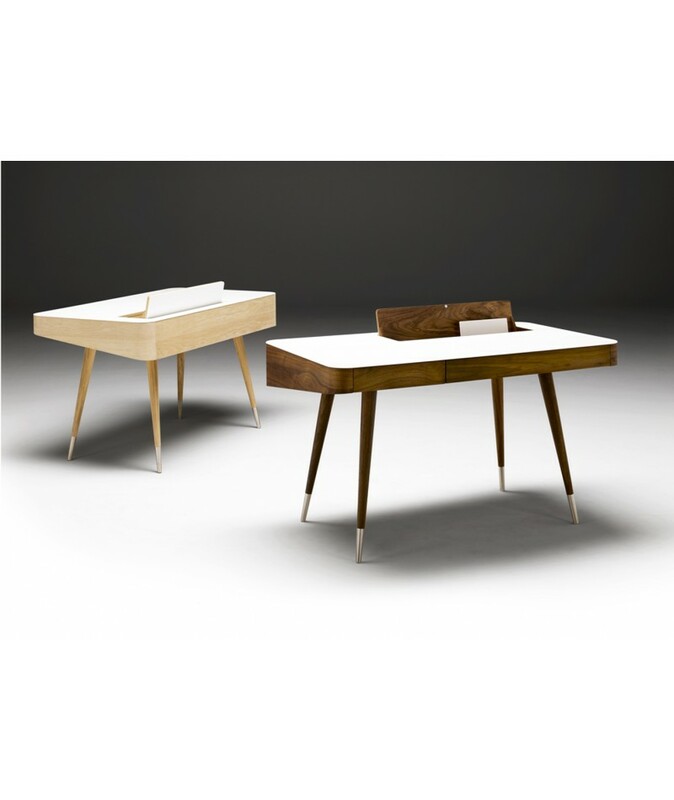 The desk is made of solid wood wich is offered in two versions: Oiled Walnut or Oak wich is available in various finishes (soaped, oiled, white oiled or lacquered). 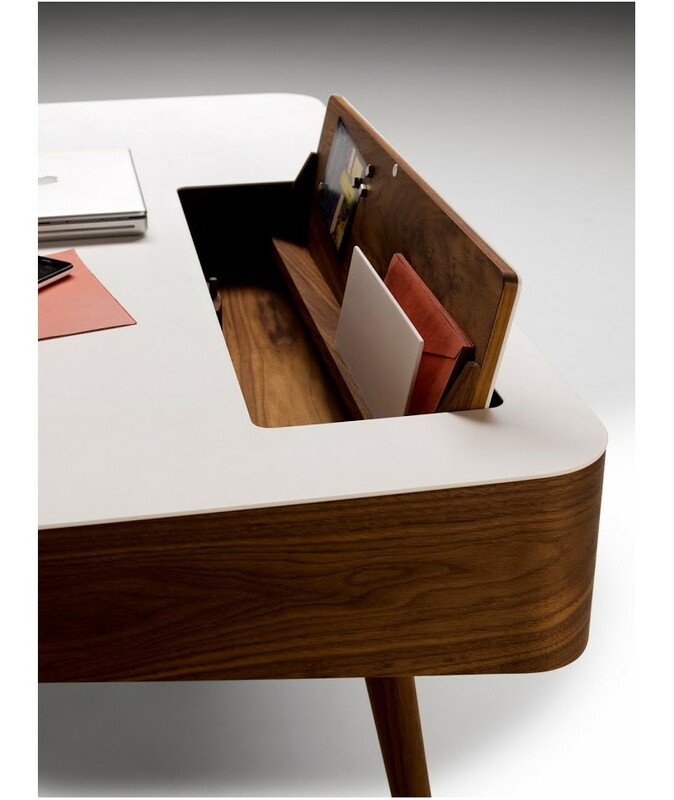 The corian desk beeing ingenious and functional, a magnetic document carrier is integrated to the tabletop and its left drawer compartments allow to store either tabletop, i pad, i phone with their charger and cables. 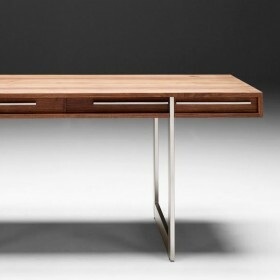 Christina Strand design. 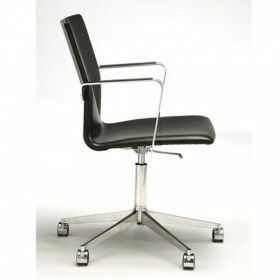 Cast office chair, swivel, upholstered, covered with leather or fabric choice, failover and base in chrome platted on aluminium. 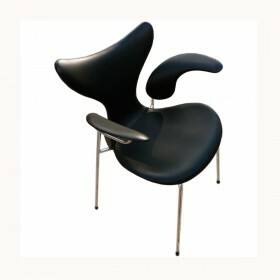 Arne Jacobsen design by Fritz Hansen, 1965. 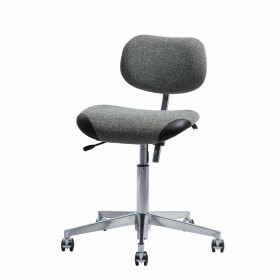 Oxford swivel chair with flexible backrest low, medium or high. The shell is moulded wood comprising 7 layers of beech and 2 layers of poplar. 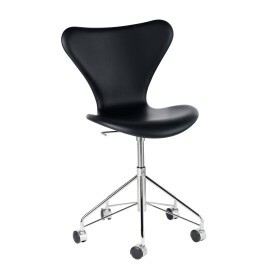 Upholstered with polyurethane foam and covered with fabric or leather. 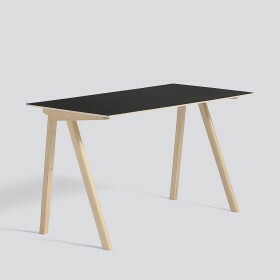 The desk Azur expresse the intemporary idea of Danish design: form and function. 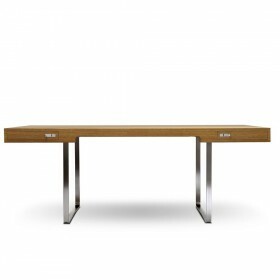 It’s size 170 x 80 x H 72 is the most commun, the table top made out of wood contains 4 large drawers. 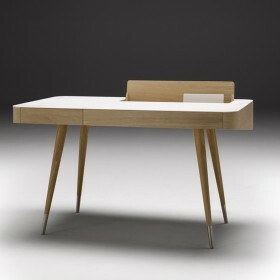 Its geometrical shape goes with the atmosphere of work. 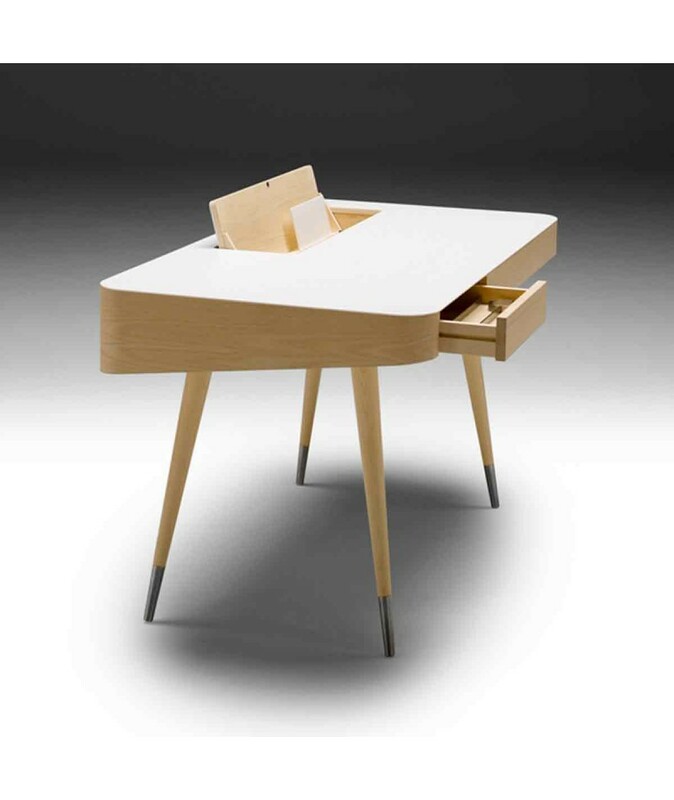 This desk drawer Montana has got a signature of which is noticeable in the purity and the detail of its lines, which rhyme with simplicity and fonctionality that embellishes to itself a workspace. It brings sobriety and harmony to its environment, and join easily all kind of interior design thanks to its range of 40 colors. Design Gunilla Allard, 2007 Inspired by nature and life in savannah, sahara chair has an elegant steel frame enhanced by curved armrests inlaid with wood. 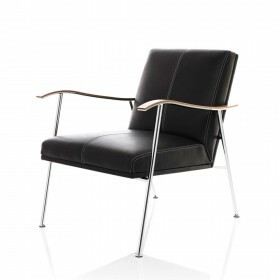 With its hight quality fabric or leather upholstery, the design of the backrest and seat guarantee an optimal comfort. 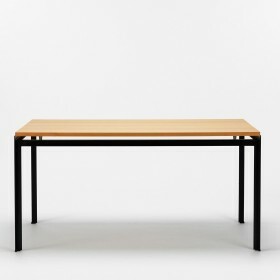 The PK52 elegant and refined modernist desk was originally designed for the Royal Danish academy of fine arts by the renown modernist pioneer the designer Poul Kjaerholm. 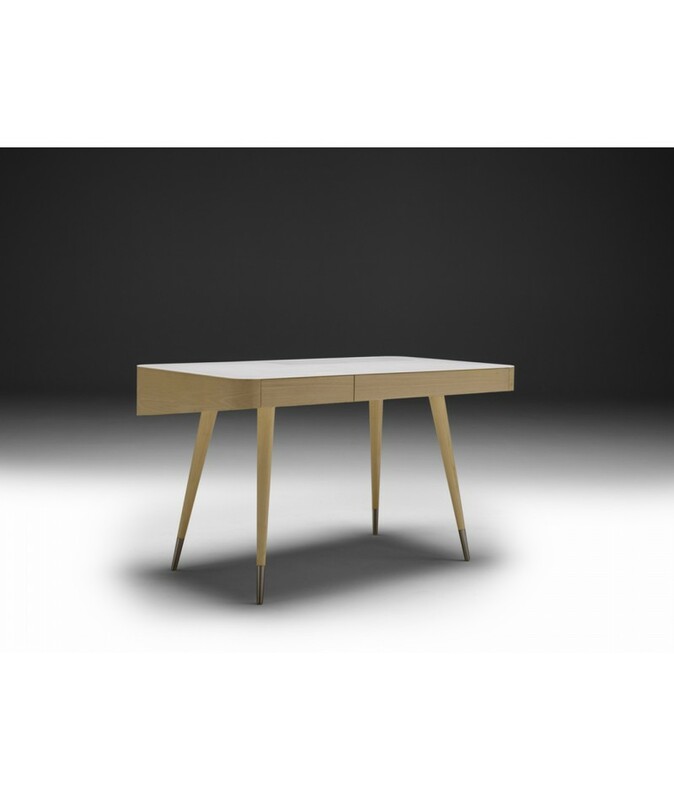 The elegant association of materials and its simple lines allow its association with contemporary or classic furnitures as well as spaces.